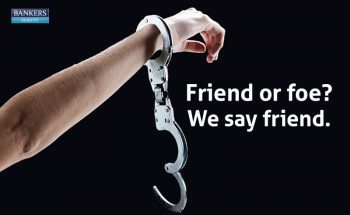 Whether people believe it or not, you, our Bail agents, are there for those in a time of need. You are the first person they call when that unexpected, unfortunate phone call from a loved one comes through saying, “I’m in jail”. You are there to help relieve the stress of having someone’s best friend, spouse, child, or parent suffer from being behind bars. You act as a surety, and pledge money or property as bail, to allow the release of the person accused with an agreement that they will show up to court. You are the quickest and easiest approach to the scariest situation. Don’t let bail reform disturb you, thousands across the country depend on you and your service. Not only do you provide monetary aid quickly to assist others’ loved ones, but you also help buy them time to prepare for their upcoming court date. We know that bail reform disagrees with your service, but here at Bankers Surety our goal is not to gouge those who become incarcerated for extra money. Our goal is to protect the public. We work hard to build our relationships with the most applicable agents that help support the thousands of people who are relying on you. We are aware of the challenges, but even more important we are aware of the opportunities. The bail reform can’t stop us from coming to the rescue! Together we will grow your business and have a positive impact on all parties involved. By filling out our application you are beginning the process of partnering with the number one surety company in the industry. We are continuing to fight the bail reform to preserve those necessary services you provide. Vote No and Protect Bail!